Benazir Bhutto Assassinated | Reserve Result. 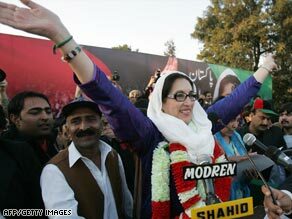 Pakistan’s former Prime Mister Benazir Bhutto was assassinated. Bhutto was killed from a gunshot wound to the neck. The attacker then blew himself up. The bomb attack killed at least 22 others.